From die cuts to rope handled shoppers. 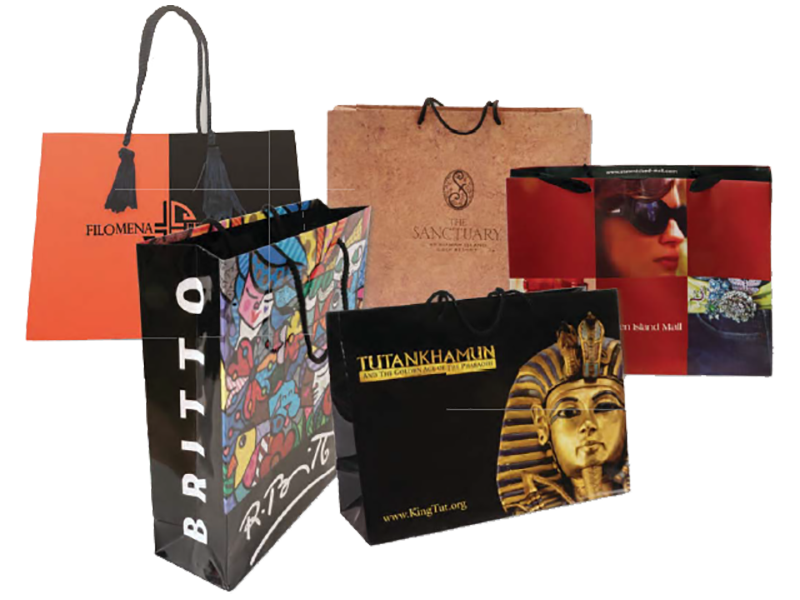 We also stock many sizes of high and low density bags. With a vast collection of handles, colors, and materials in both import and domestic bags. We offer over 96 film colors and 30 different handle types. You can choose from tinted, solid or metallic ground colors. 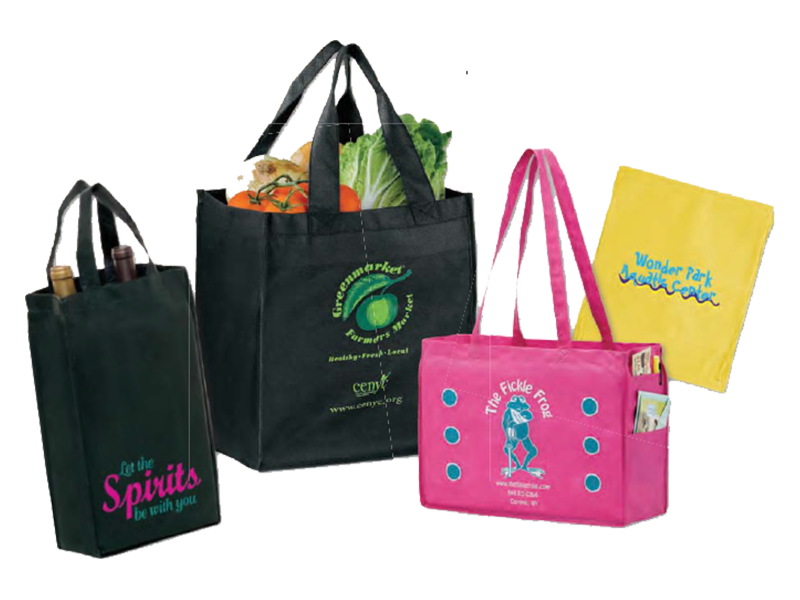 You can present your clients with an everyday promotional bag – or you can knock their socks off with our line of woven and non woven laminated bags and coolers! They are super strong and are available in a number of handles and closures. 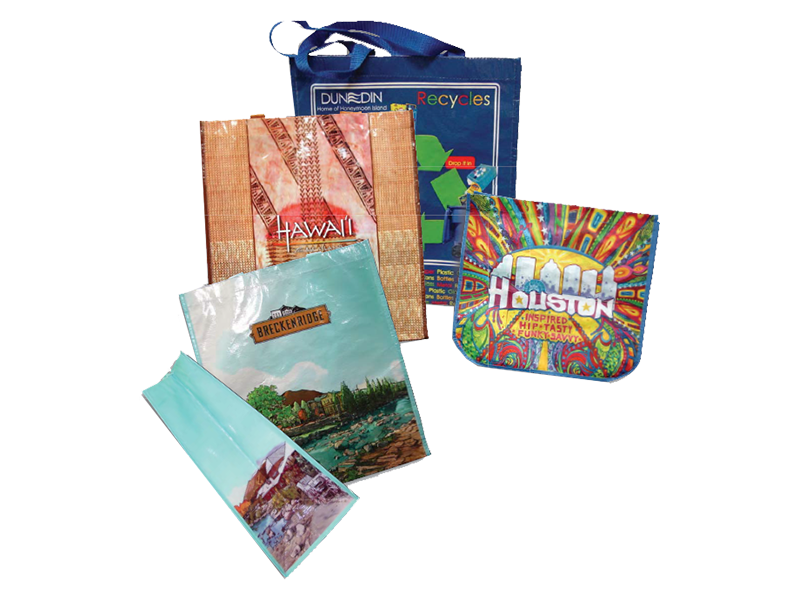 Bags can be printed up to six colors … you specify the size. With smudge-proof printing, they can go from the beach to corporate picnics with no problems. You need a “GREEN” bag solution but your client doesn’t want to spend a lot of money and you need something that is reasonably priced and in small quantities. 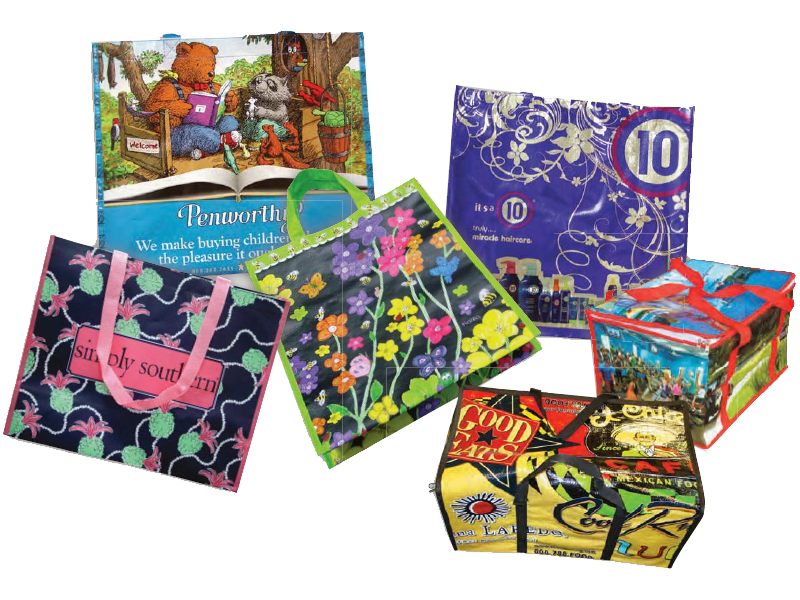 These non-woven polypropylene bags are 100% recyclable and are just what you require. You have a choice of multiple colors, sizes and configurations. Create brand awareness and customer loyalty! 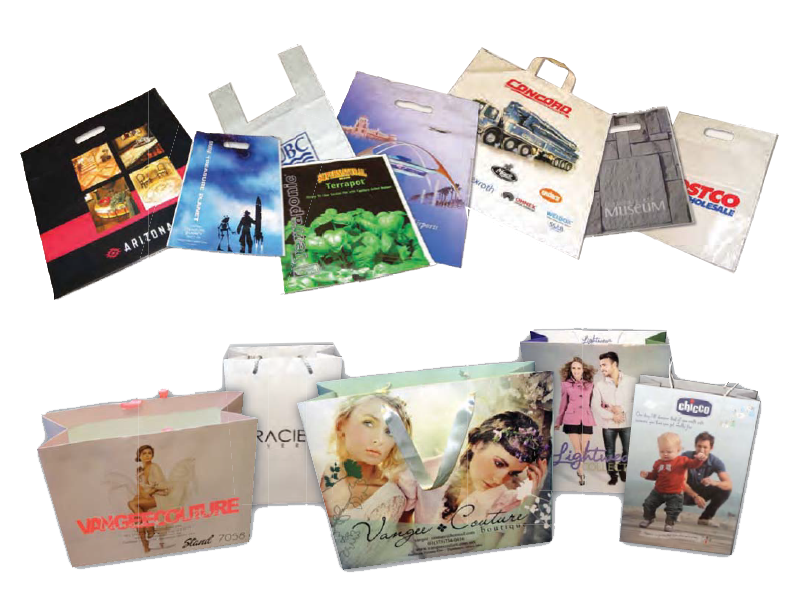 The paper euro style shopping bag. . .never has there been a more elegant, functional and cost effective way to advertise your brand. 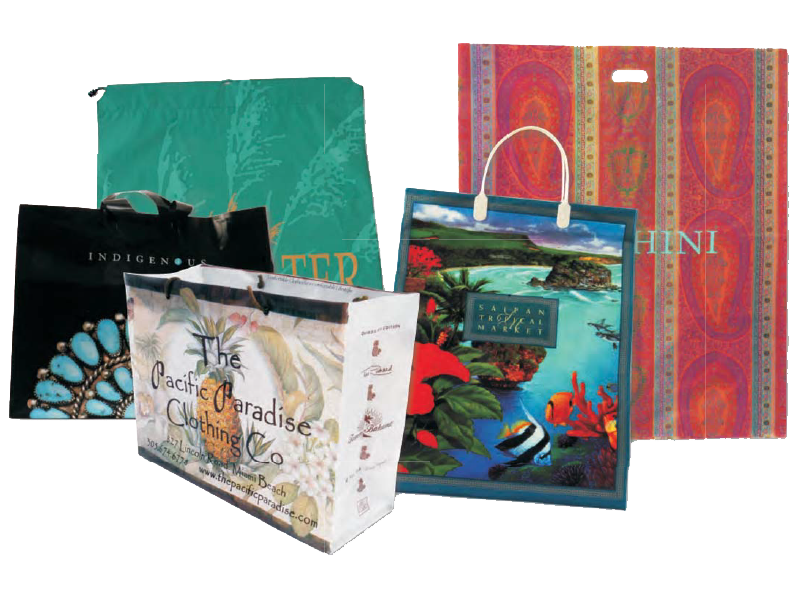 We can manufacture almost anything your customer can imagine, from custom shapes to custom papers, with a wide variety of art paper and kraft papers including textures to custom colors to custom handles. There is almost no limit to what can be made. Recycled bottles never looked so good!